There were a lot of comments about my Rhetorics of Hate blog post and my overriding pessimism. It is a time to be jaded as peace talks take a back seat to what might be a war with Iran. I have shared in the past that there are some wonderful organizations trying to bridge the gaps and bring about a sustainable peace, often at a very grassroots level. One Voice are an outstanding example. The day after I wrote the Rhetorics of Hate, I had the opportunity to hear Shimon Peres, the President of Israel, who was visiting San Francisco. As I walked past the demonstrators, I wondered if they even knew who this man is and what he stands for – or is enough to be an Israeli in order to be the enemy. A Nobel Peace Prize laureate, Mr. Peres was reaching out to make peace with Israel’s Arab neighbors, long before anyone else dared risk their political careers to pursue peace. 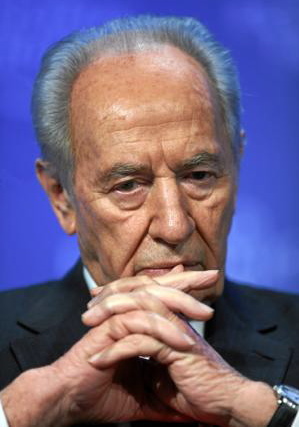 But Mr. Peres reminded us of what might be his greater contribution to the region. He said (these are my words) that peace in the region will be motivated not by ideology or territorial compromise, but by poverty. With the vast majority of the inhabitants of the Middle East under 25 and, with an increasing number of them having access to the Internet, this is truer today that when Mr. Peres outlined his vision for a New Middle East. Fifteen year ago, a long time if measured not by history but technology, Mr. Peres pointed out that the Middle East has the resources and technology to become the center of the world economy. Once the 99% (definitely my words now!) realize this, they will demand that their governments broker the necessary accords to allow for an economic entity to be established that will change the balance of wealth on the planet, and allow the people of the Middle East to share a quality of life that they have every right to demand of their leaders. Speaking in San Francisco last week, Mr. Peres said that peace in the Middle East will be created from the mind not by the military. Possibly the most effective way that we can create that momentum is to get his book, The New Middle East, into as many hands as possible. To do this we need to harness the technological advances that Mr. Peres spoke of, because the drums of war are pounding again, and they are getting louder.